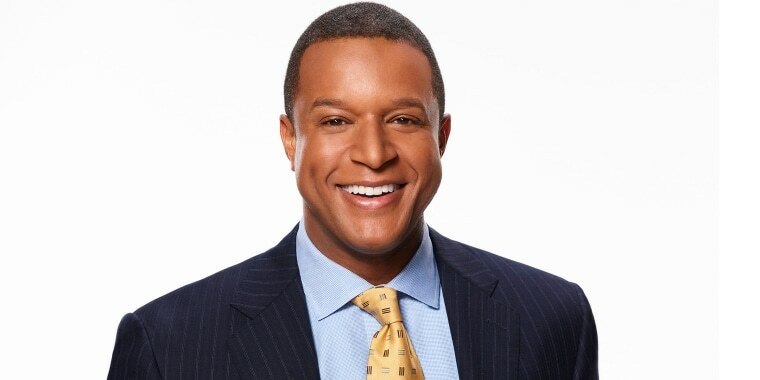 Craig Melvin is a news anchor on NBC News’ TODAY and an anchor on MSNBC. His breaking news coverage and reporting appears across all NBC News and MSNBC platforms. Melvin has covered a wide range of news events, including several Republican and Democratic national conventions. He has also covered for the network tragic mass shootings across the country, including Dallas and Orlando, Florida, in 2016; Charleston, South Carolina, in 2015; the Navy Yard in Washington, D.C., in 2013; and Sandy Hook in 2012. Melvin reported extensively on police-involved shootings and subsequent protests in Baltimore in 2015 and Ferguson, Missouri, in 2014. In addition, he covered the 2016 death of Muhammad Ali, the 2016 EgyptAir MS804 crash, two presidential inaugurations and the aftermath of the deadly 2013 tornado in Moore, Oklahoma. He also contributed to NBC Sports' coverage of the 2016 Olympics in Rio, Brazil. Prior to joining NBC News and MSNBC in July 2011, Melvin was a weekend anchor for WRC, NBC’s owned-and-operated station in Washington, D.C. Before that, Melvin earned acclaim as an evening news anchor at WIS in Columbia, South Carolina, where he was named “Best Anchor” by the South Carolina Broadcaster’s Association and awarded two Emmy Awards. Melvin is a graduate of Wofford College in Spartanburg, South Carolina, where he serves on the board of trustees. He is an active member in several charities, including Fred’s Team at Sloan Kettering and Big Brothers Big Sisters. Melvin resides in Connecticut with his wife, ESPN’s Lindsay Czarniak, as well as son Delano and daughter Sybil. Melvin is on Twitter at @craigmelvin.